Dear Del: What’s the difference between a query and a report? A query is a way to pull data from a database without having to go to your IT department to build a printable report. With a query, you can access data from several areas of the database (e.g., member status, products purchased, committees) to develop targeted lists. Kind of like assembling all your at-hand ingredients to make a seasonal homemade ice cream. The results of the query are displayed in a visual format similar to Excel—you can even download the query output to slice and dice the data as you wish. You can also merge the data into a formatted Word document. Queries are more flexible than reports because you are not stuck with a predefined set of options and format. Also, they give you more flexibility in fine-tuning your search in real time (like using Google to track down all the open ice cream parlors and what flavors are on offer…mmm). A report, on the other hand, uses predefined data criteria to produce a formatted document designed for a specific task and suitable for printing. For example, a printable invoice or roster with a well-designed header and footer is considered a report. A report could be compared to your favorite chocolate ice cream that you pick up at the supermarket when you have a craving—it’s premade and prettily prepackaged. Creating a new report can be costly or complicated because you need the technical skills of a developer or IT person. 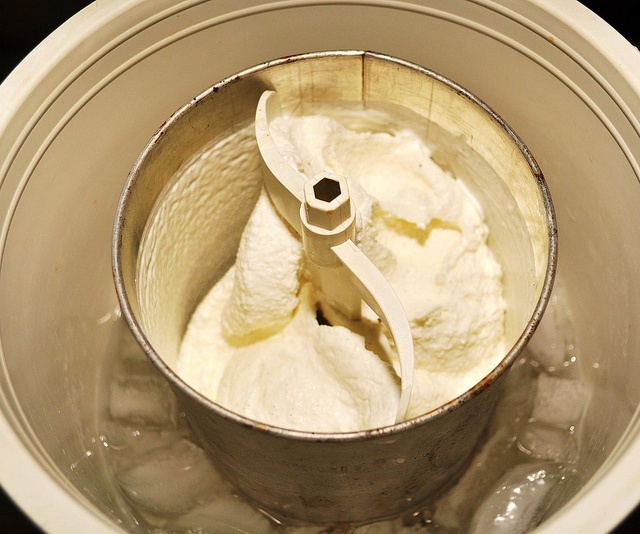 You can’t make homemade ice cream, or reports, in a hurry. When should you use a query and when should you use a report? Which first-year members attended our most recent webinar? Who are active members in the San Antonio area who can reach out to a new inactive member in that same area (or find some good made-in-Texas ice cream)? Which members might be interested in a new association publication because they purchased an earlier book by the same author? You can view and work with the query export in Excel or Word to further understand the data. Many systems recommend the use of queries over reports due to the ease and control granted to the user to gather and format the information. So, if the final printable output changes on a regular basis, a query with a mail merge may be the most resourceful way to go. You may want to make a different flavored frozen treat each time! A report is best for formatted system output such as invoices, financial reporting, and dashboards. Reports use predefined data criteria to produce a visually pleasing document at the click of a few buttons, without user intervention or manipulation time after time—like store-bought versus homemade ice cream. Once a report is developed, the user only has to point, click, and print. Be sure before you order. When speaking with your database administrator or solution developer, only use the term “report” when you want output to have a consistent, pleasing design for distribution with no manipulation from you. Use the term “query” when you simply want to get access to the raw data to slice, dice, and put on ice (for churning, obviously).